Adelyn was a bit shy when she first approached her tea party, but she quickly adjusted. She fed her dolly a spot of tea and chocolate. She then decided to take a few twirls in her Matilda Jane dress which was perfect with all the ruffles at the bottom, making for some great twirls. 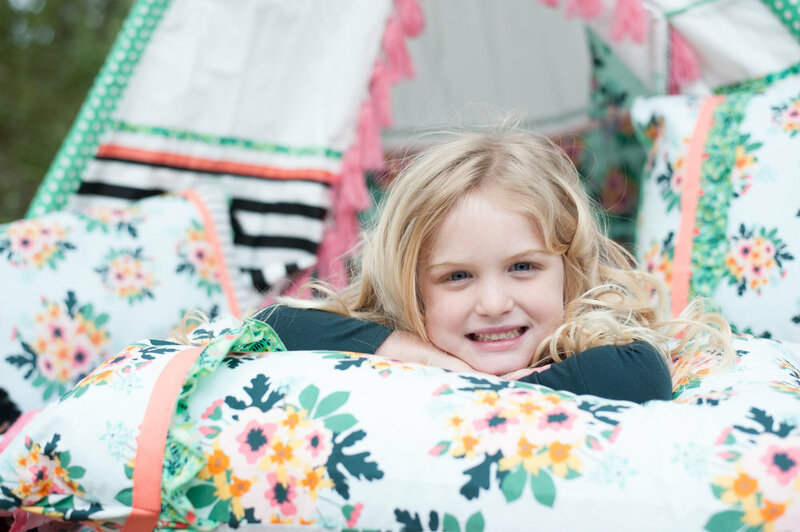 A special thanks to Jennifer Stubbs, independent rep for Matilda Jane Clothing of which this whole session was styled.